I hope you have a great start to your week. Mondays are a chance to begin again which I find rather refreshing. 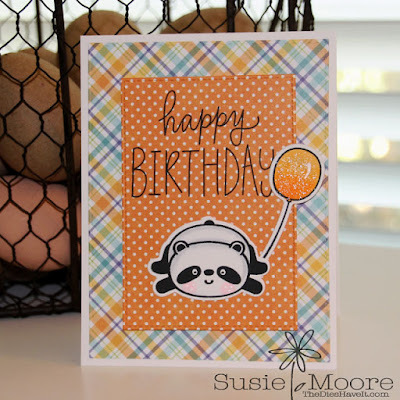 Today's card features images from last month's MFT Stamps release as well as their cute new paper and a birthday sentiment from this month's release. I love mixing stamps and feel almost giddy when I find a match like this! Have a super wonderful day and I'll see you right back here tomorrow.